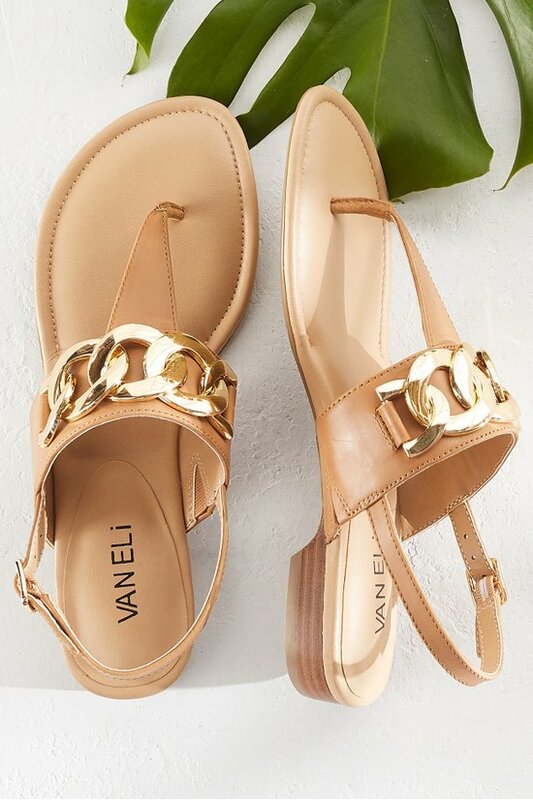 An oversized curb chain brings metallic contrast to these sophisticated leather sandals. They’re sleek and stylish with a T-strap, adjustable slingback and stacked heel. They’re also ultra-comfy with elastic gores, padded footbed and rubber sole. 1" heel.